Self-Publisher’s Showcase: Today we are joined by Fenella J. Miller, author of bestselling “The Duke’s Alliance Series”. Welcome to the Showcase Lounge, Fenella. FJM: thank you for inviting me. As a matter of fact, my bestselling series at the moment is “The Nightingale Chronicles” a Victorian family saga. My World War II series, “Barbara’s War” has also been a bestseller. < strong>SPS: For any of our readers that haven’t come across your work previously, can you take a moment to tell us all a little about yourself and your work? FJM: I am a writer of historical fiction. My main body of work is Regency romance and I have over thirty-five books published in that genre. I also write World War II family sagas of which there are six, and I’m about to publish the first of a new series, Ellen’s war, which will be a three-book series about a woman ferry pilot in the ATA. Currently I’m writing the third book in The Nightingale Chronicles, Better Bend Than Break, which will be published later in the year. FJM: I need peace and quiet to write. I know some writers have music going in the background but I’m not one of them. I even shut my noisy Bengal cat out of the study when I’m working. I write, or do something writing related, every day of the year unless I’m ill.
FJM: It was always my intention to be published author – I’d written six contemporary romances which never saw the light of day – before I joined the Romantic Novelists Association in 2004. 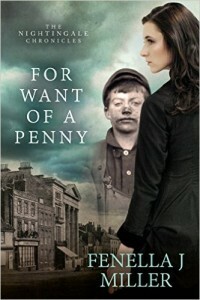 I soon realised I should be writing historical fiction as that was what I preferred to read. I sold my first two books to traditional publishers in 2005 and had twenty-five books traditionally published before I became an independent author. FJM: My Regency books were heavily influenced by Jane Austen and Georgette Heyer – and I’ve been told my style is a mixture of the two. I’m not sure that’s true – but it would be wonderful if it was. My Victorian and World War II books have not been influenced by anyone – they are written in my own unique style. FJM: Not many authors write in three different eras as I do. Also few writers write six or seven new titles every year as I do. It’s a saturated market at the moment and only by producing a steady stream of well-written, edited and beautifully covered books in a variety of genres am I keeping pace with others. FJM: I got the inspiration for Ellen’s war, the ATA pilot series, when I was doing general reading. I became fascinated by these brave women and decided they deserved to have more attention. 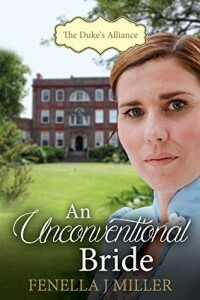 My Regency books start with an idea, then the main protagonists, followed by the title – I’m not a big planner. I tend to write a single draft in one go. I’ve written so many now that I don’t have to do a lot of extra research. The book I’m currently writing, the Victorian saga, I have more than a dozen research books piled up on my desk to which I refer when necessary. I’ve also got a very detailed outline for this book and for the final book in the series. The World War II books also require a lot of research – I used about thirty books when writing “Blue Skies and Tiger Moths”. FJM: Any review that says the reader really enjoyed my book is a favourite. January: Search for a Duke – a re-edited and recovered book originally published by Hale in 2006. February: The Duke’s Alliance, book 3 – An Unconventional Bride. March: Regency Romantics box set of which I am part. April: The first book in Ellen’s War series, Blue Skies and Tiger Moths. May: The Reclusive Duke. June: The third book in the Victorian Nightingale Chronicles, Better Bend Than Break. I think you get the picture – there will be something every month apart from December. FJM: as I’ve mentioned before when I started self publishing was considered with the same school as vanity publishing. I made so little money from my traditionally published books but when it became straightforward to publish on Amazon I jumped at it. FJM: I love the writing, but I’m not so fond of the marketing and promotion that is essential if you are going to maintain your position in the indie writing world. There are so many excellent books being self published every day that the market is somewhat saturated. I think my income is going to go down this year for the first time. FJM: Write the book you want to write. If you intend to go into the indie publishing market then I would advise you to have at least three books finished, professionally edited, proofread and with an excellent cover before you launch the first one. FJM: I love the romantic suspense written by Fay Cunningham. I’ve just finished reading Max Seventeen by Kate Johnson and it’s the best book I’ve read in a long while. It’s a space/sci-fi book that gripped me from the first page to the last. SPS: Thank you for joining us today, and all the best for the future, Fenella. FJM: Thank you for inviting me and I apologise for being so verbose. That’s writers for you – always too much to say. 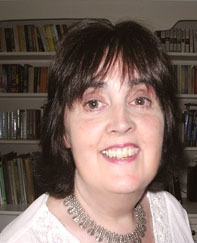 SPS: For more information on Fenella and her work, please do visit her author page here. Thank you for inviting me here. I find that indie-writers are so supportive and this is a place we can celebrate our success.